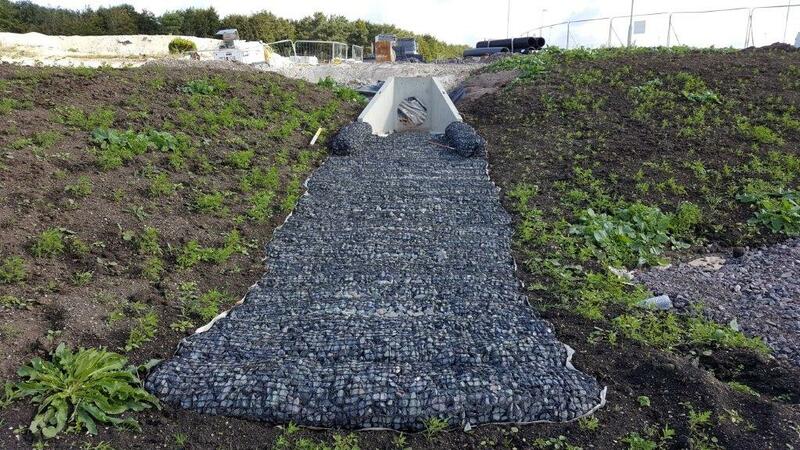 Pre-filled Rock Mattresses are a robust and permanent revetment for use around reservoirs, shorelines, lake edges, streams and river banks. 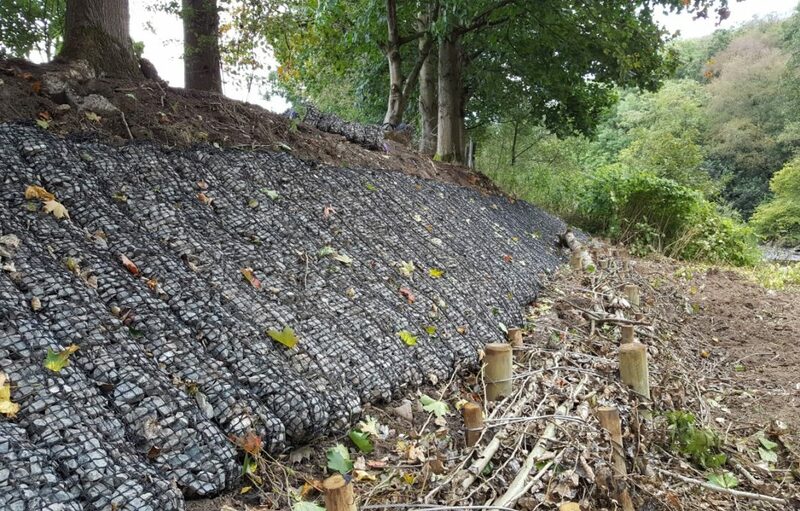 They are cost-effective revetments that are suitable alternatives to rock rip rap and gabions in many scour applications, preventing erosion whilst allowing natural vegetation to establish. 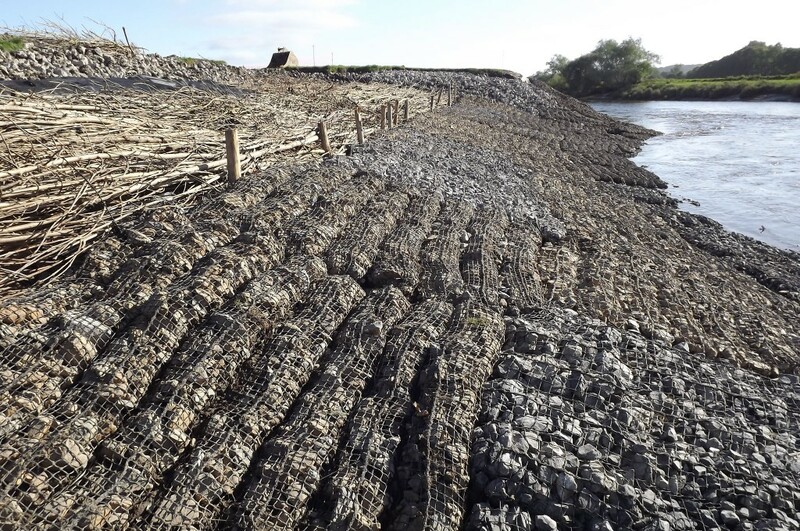 Rock Mattresses are formed from Rock Rolls joined together to create a 2m x 1m unit capable of resisting high velocities and shear stress up to 1200 N/m2 in high energy river situations. They also accrete silt due to small stone size and can be fully vegetated. This is not possible with rock armour and large rip rap. This page has some great practical examples of how we have used Rock Mattresses and Rolls in a variety of situations. Rock Mattresses provide an instant flexible solution to many scour problems particularly below low water level where pure bioengineering techniques will not function. 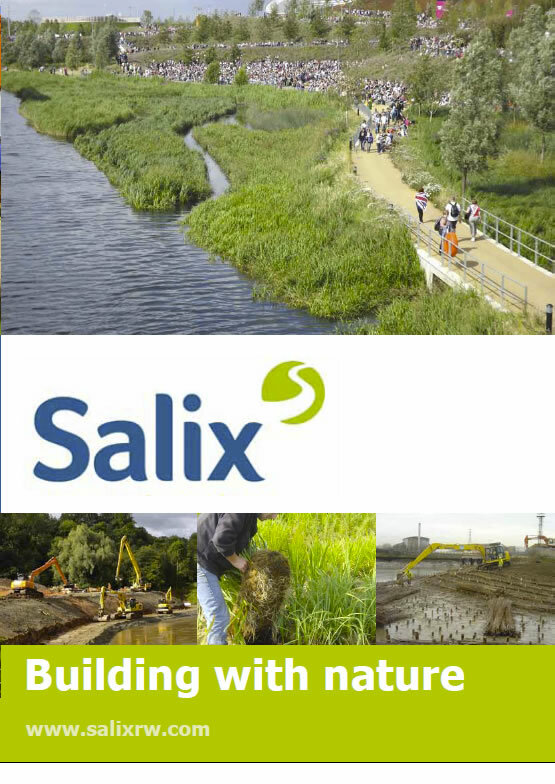 When used in conjunction with Coir Rolls, Coir Pallets or live willow, Rock Mattresses provide a solution which can support healthy invertebrate and even native crayfish populations. Watch our video with Dr Ruth Callaway of Swansea University talking about her research on our Rock Mattresses. Bridge Repairs – Environmentally Sensitive Pre-filled Rock Solutions for Scour Prevention Reservoir Dogs SuDS Scour Aprons & Spillways – The New Sensitive Approach Erosion Control on Exeter Flood Defence Inter tidal Erosion Protection on the River Crouch Erosion Control Products Provide Homes for Wildlife Rail River Rock Residential Flood Defence Scheme at Witton Gilbert Tough Green Alternatives to Hard Engineering Rock Rolls – Effective Erosion Control Balfour Beatty endorse Salix’s erosion control solutions Tough Test on The Teme Better Banks! Rhodri Tames The Tywi!